When Will ‘Outlander’ Come to the U.K.? 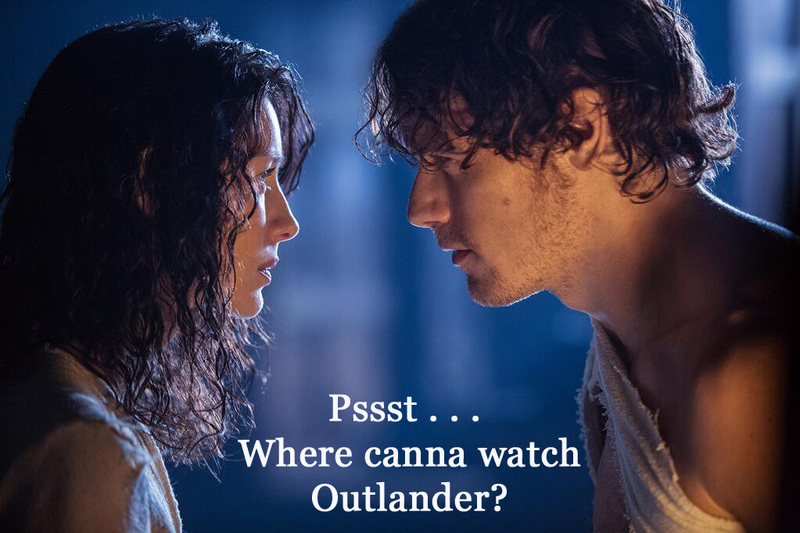 When will fans in the U.K. be able to see the Outlander series? Many have been asking that since Day 1, and Outlander TV News sees tweets and Facebook posts asking us about it. Your guess is as good as mine. What is the most frustrating aspect of the U.K. distribution issue is that the series is being filmed in their own backyard, but they can’t see it on their televisions. There have been a couple of articles about the subject recently. The first one comes from The Scotsman and has quotes from Diana Gabaldon. It asks if there is any relation between Outlander not being picked up yet and the upcoming vote on the Scotland independence referendum. And Gabaldon told The Scottish Sun: “You hear all these rumours that it’s about Scottish independence and they don’t want to inflame people towards the Yes vote. “Screenings were held in LA and I was invited, with the executive producer Ron Moore, to meet international buyers and do Q&A presentations. “There were VIP dinners every night and I spent an entire evening with people from Channel 4 and Sky television. The second article is from The Herald Scotland focusing on the discussions of channels picking up the series and the money being spent by VisitScotland to boost tourism to the country. It confirms that U.K. channel(s) are in talks to acquire the series, but I think I remember hearing that a while ago also. “A spokesman for Outlander, which is licensed by Sony, told the Sunday Herald: “We are in discussions with UK broadcasters and platforms to find the right home for the show.” He added the screening date would be down to whichever broadcaster picked the show up. Mike Cantlay, chairman of VisitScotland, said the show had screened to “rave reviews” in the US. I would like to point out that Starz has no hand in negotiating distribution rights internationally. Complaints to Starz about the show not being shown in your country yet is not really helping anything. Sony Pictures Television is in charge of negotiating the distribution rights to just about anywhere. Please read Diana Gabaldon’s explanation of the whole process in our Where to Watch page. I would suggest expressing to the appropriate television channel in your country that you would like to see Outlander and why. Considering that it has now premiered somewhere to record numbers, negotiations may speed up a bit with more interested buyers, but this is coming from someone who runs a news site. This entry was posted in TV Show News and tagged Distribution, Sony Pictures Television, Starz by Sarah Ksiazek. Bookmark the permalink.